Casa Subang Apartment is located on a freehold land at Jalan Subang 1 USJ 1 in Subang Jaya. 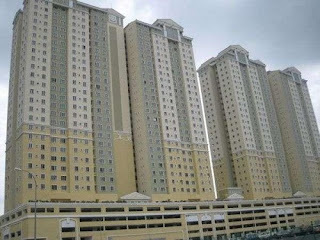 Casa Subang consists of two 25-storey towers totaling 588 units of which 16 are duplex penthouses. The apartments built-up area range between 682 sq.ft. and 1,555 sq.ft. and offer a choice of 3 or 4 bedrooms. Each comes with two good-sized bathrooms. Built-up Area : 682 sq.ft. - 1,555 sq.ft.